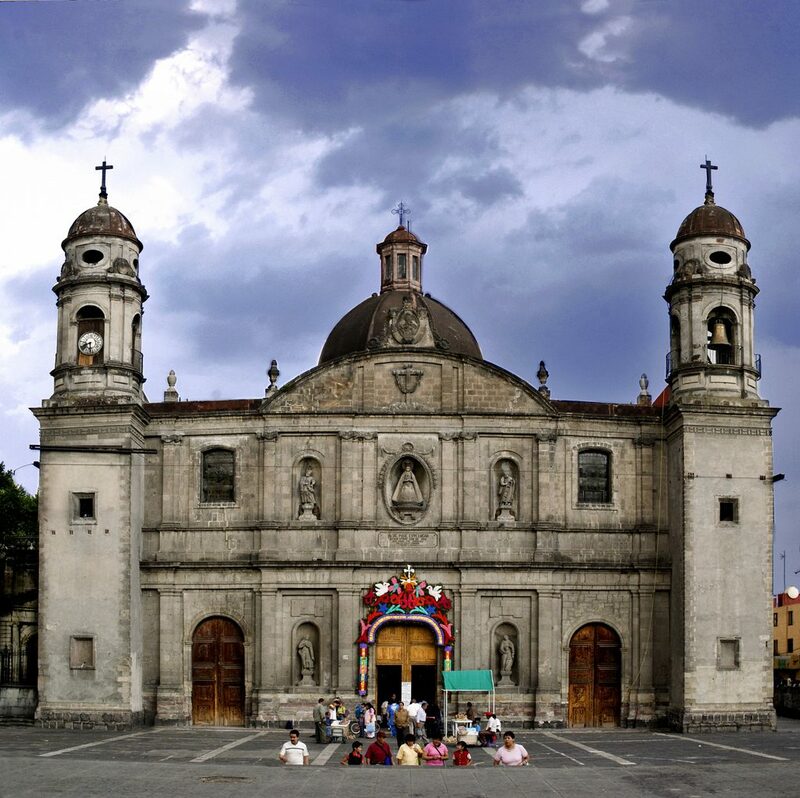 Join us on an encompassing and historical trip throughout the wonders of Central & Southern Mexico! 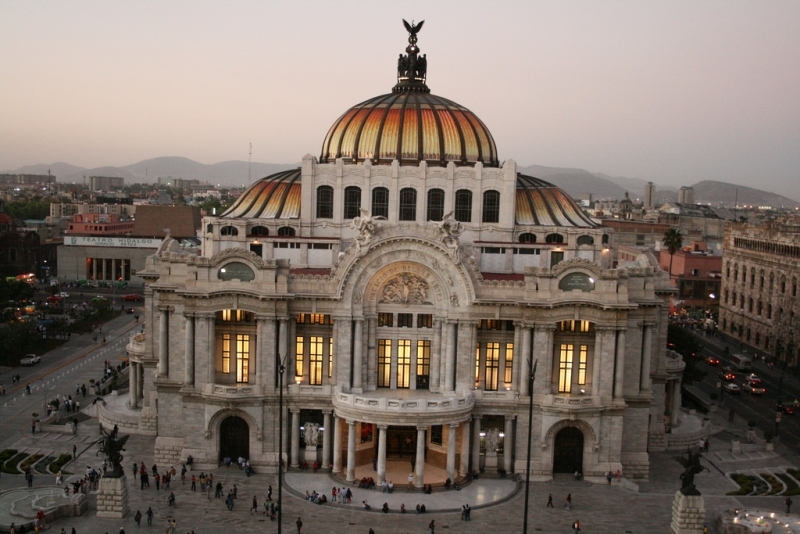 Our tour will take us through the ever-changing scenery from Mexico City to Cancún, completely overland, visiting the finest colonial cities, Mayan ruins, markets and activities along the way. 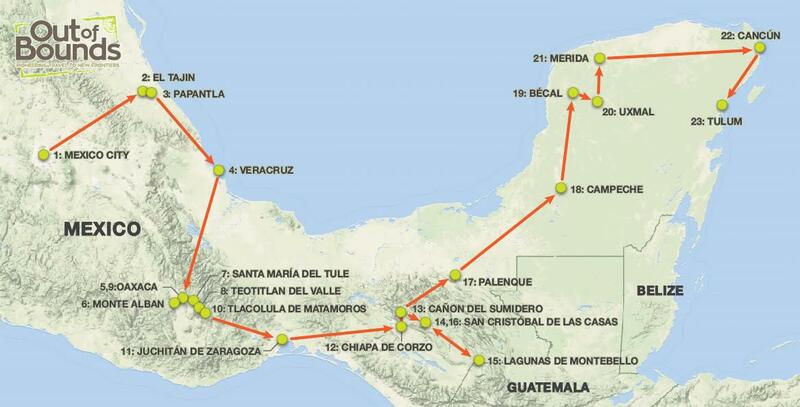 Journey through 7 of Mexico’s states (Federal District; Veracruz; Oaxaca; Chiapas; Campeche; Yucatan; Quintana Roo). Visit 9 UNESCO World Heritage Sites (Historic Centre of Mexico City and Xochimilco; Central University City Campus of the Universidad Nacional Autónoma de México (UNAM); El Tajin, Pre-Hispanic City; Historic Centre of Oaxaca and Archaeological Site of Monte Albán; Prehistoric Caves of Yagul and Mitla in the Central Valley of Oaxaca; Pre-Hispanic City and National Park of Palenque; Historic Fortified Town of Campeche; Pre-Hispanic Town of Uxmal; Pre-Hispanic City of Chichen-Itza). 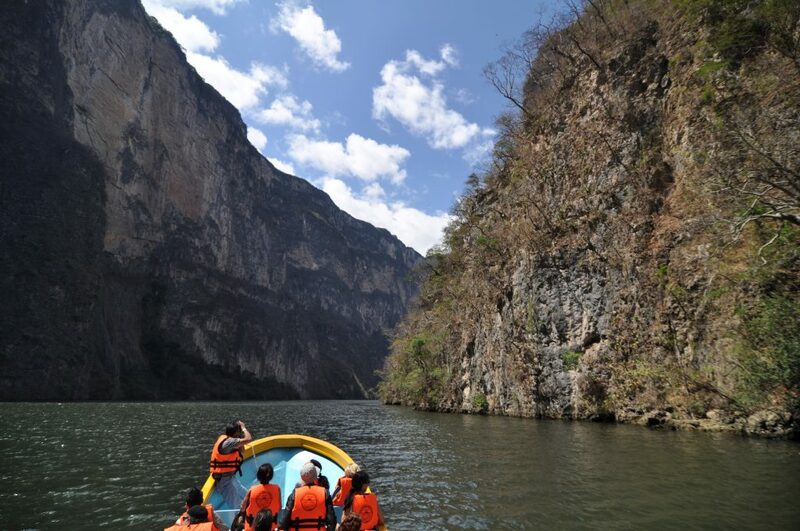 Take an awe-inspiring journey by boat through Cañón del Sumidero (Sumidero Canyon), a deep and narrow canyon that flows beautifully through a national park. Coasting on a wooden raft along the peaceful lake surroundings of the beautiful Lagunas de Montebello National Park. Visit the captivating ruins of the Mayan world at El Tajín, Monte Alban, Mitla, Palenque, Chichén Itzá, and Tulum. 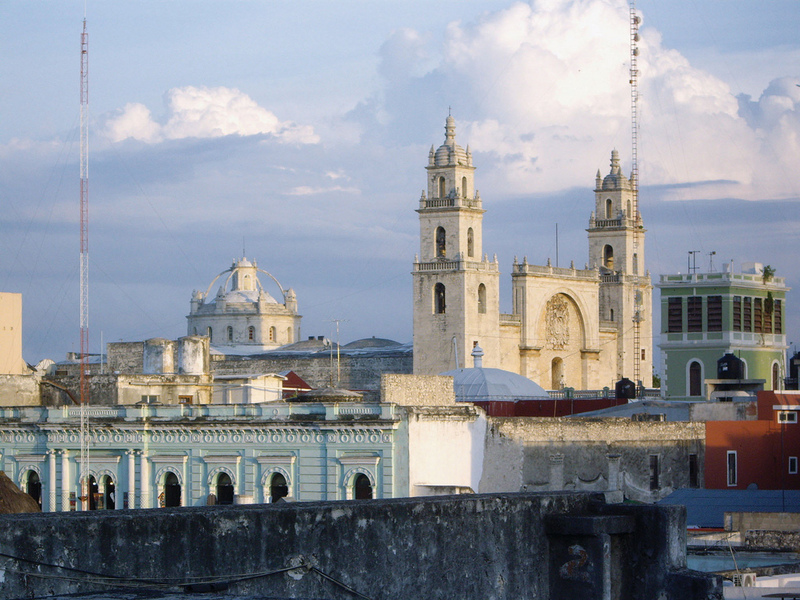 Delve into the colonial wonders within the cities and towns of Mexico City, Veracruz, Oaxaca, San Cristóbal de las Casas, Chiapa de Corzo, Campeche, Mérida. 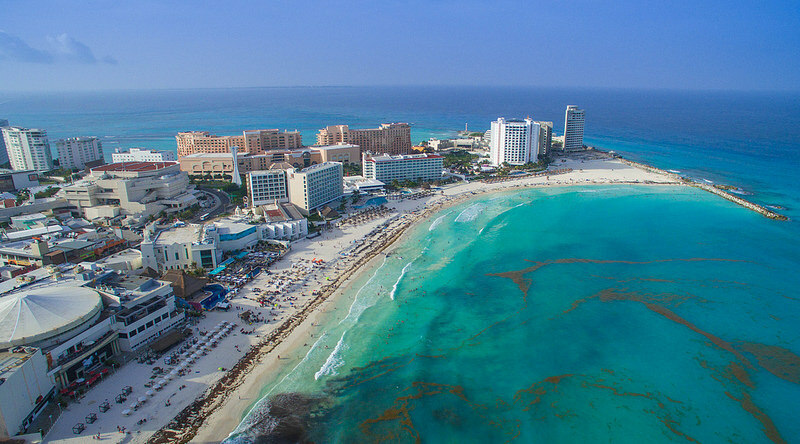 End this wide-ranging and unforgettable journey on the gorgeous beaches of Cancún. Arrival to Mexico City International Airport and depart to Mexico City’s south, where we will enjoy a traditional boat ride on a typical “Trajinera” along the pre-Hispanic canals of Xochimilco — Mexico City’s Floating Gardens. Xochimilco was the place where the Toltecs took refuge during the fall of Tula. From ancestral times, its inhabitants have dedicated themselves to agriculture. Afterwards, visit the National Autonomous University of Mexico, the largest university in Latin America, constructed in the 50s, but with its foundation going back to the 16th century. Stroll through the campus where there are more than 80 buildings: the Rectory, the Library, and the Olympic Stadium, among others. Overnight in Mexico City. In the morning, head southwards to the charming district of Coyoacán (“Place of Coyotes” in náhuatl), which keeps its own identity throughout its traditional zones and narrow streets. Arrival to the Frida Kahlo Museum, also known as “La Casa Azul” (The Blue House), where the most renowned Latin American artist, was born, lived, and took her last breath. Nearby is the Leon Trotsky House, a museum honoring the Russian revolutionary who lived here with his wife from 1939 to 1940, and where he was murdered. 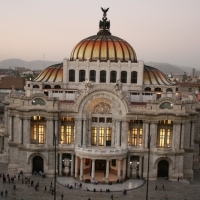 Today, the center houses an organization that works to promote political asylum in Mexico. 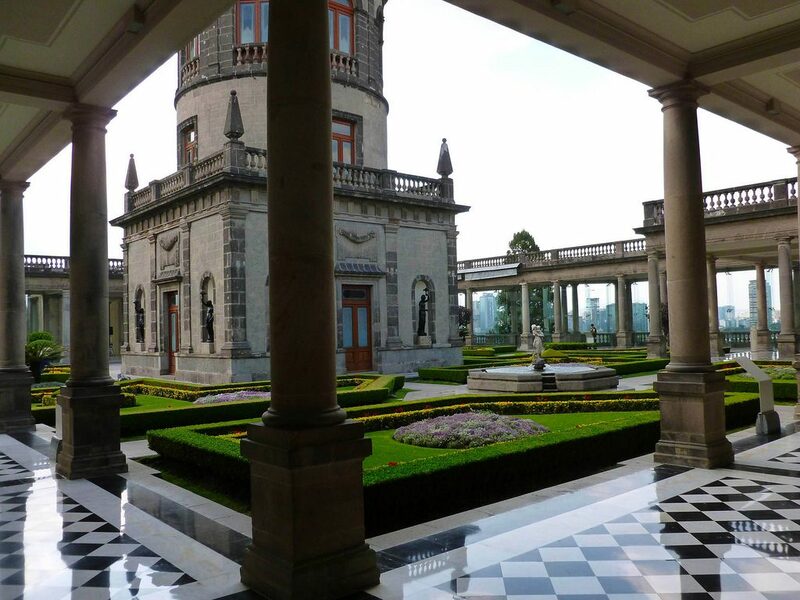 In the afternoon, we will visit the Chapultepec Castle, located on top of a hill within the boundaries of Chapultepec Park, a sacred place for the former Aztecs inhabiting the area. Overnight in Mexico City. Departure towards El Tajín, in the state of Veracruz (approx. 5-hour drive). Upon arrival, visit of the archaeological site, which was the most important center in northeast Mesoamerica after the fall of Teotihuacán. Elaborately carved reliefs on the columns and frieze characterize its unique architecture. 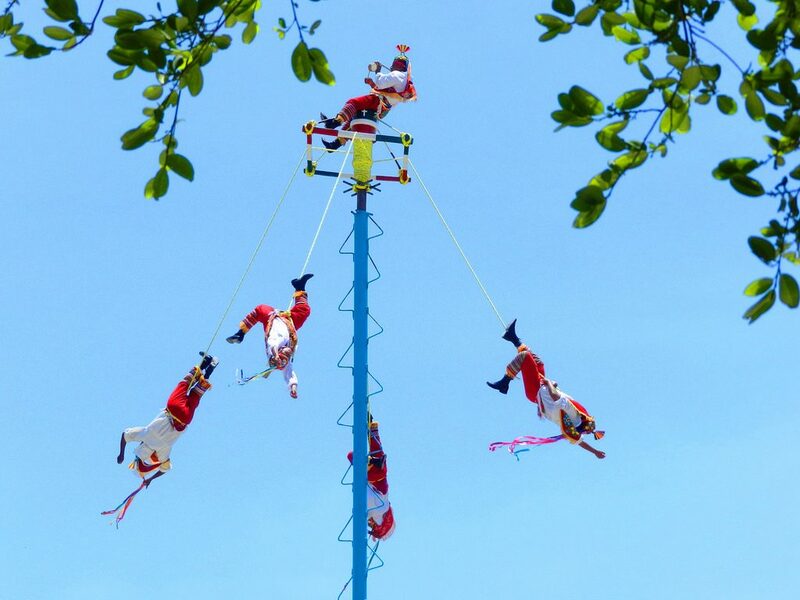 Continue to Papantla for a short stroll through town and perhaps you may have a glimpse of a local tradition practiced here ever since — the Danza de los Voladores or “Pole Flying”. Overnight in Veracruz. Today, see the main attractions in Veracruz, including walking along The Waterfront where arts and crafts from the region can be found. The mighty San Juan de Ulua Fort, a former convent and prison built in 1852 is a relic from colonial times. The Archaeological Museum of Veracruz ,where within its thick walls houses artifacts from all over the state. 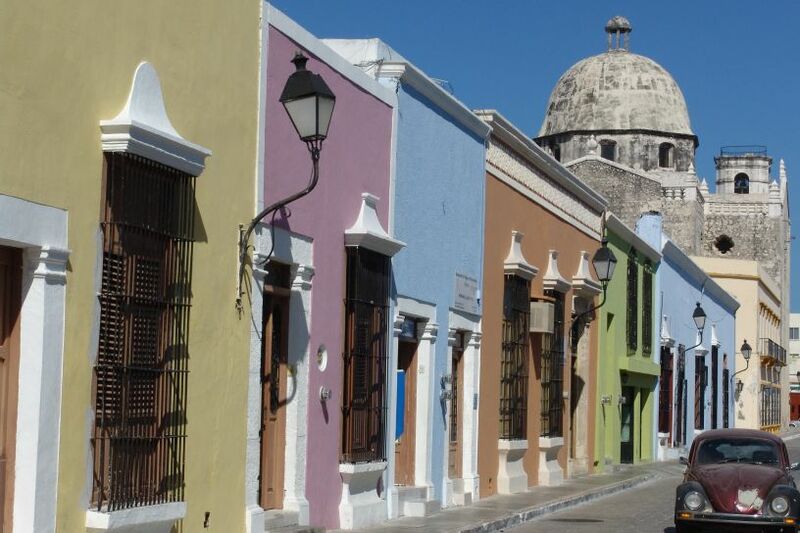 Later we will head to the Veracruz City Museum, located inside a neoclassical house. The museum exhibits photographs, objects, documents, collections, models and furniture displaying the historical development of the city of Veracruz since the early 16th century to the mid-20th century. Overnight in Veracruz. We set off very early this morning on a 6-hour drive towards Oaxaca, where we will cross the mighty Sierra Madre Oriental mountain range, extending from the Río Bravo on the border between Texas and Coahuila and running parallel to the Gulf of Mexico. Home to an impressive diversity of flora and fauna, several endemic species can be found in its high-elevated pine-oak forest landscape, with a drier climate than the rainforest areas further south. On the other hand, the State of Oaxaca is formed by the Sierra Madre del Sur, making it the most mountainous state in Mexico and giving way to the formation of a rich cultural patchwork of indigenous villages spread in its valleys. 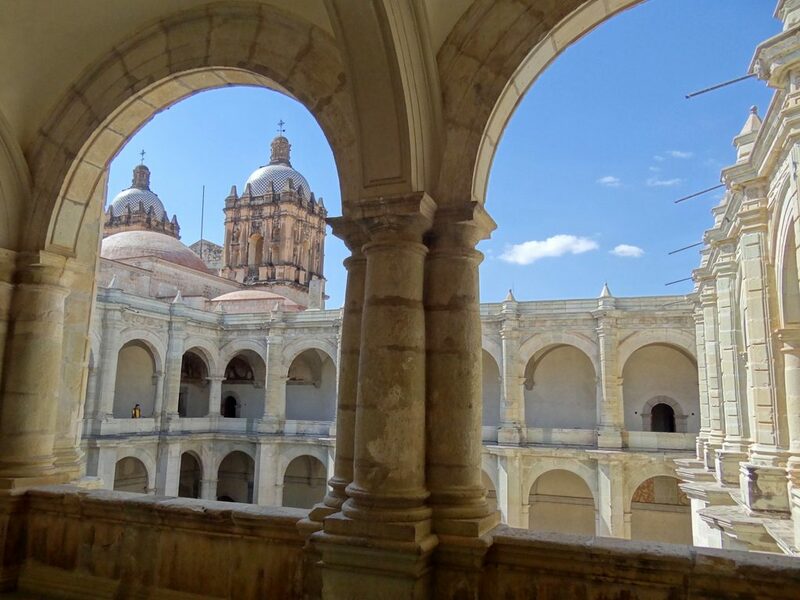 On arrival time, we will then take a tour of Oaxaca starting at the Zócalo with the cathedral and the Santo Domingo Church, then continue to the old Santa Catalina from Siena friary and to the local market, one of the most typical of the region. Overnight at the Casa Conzatti in Oaxaca. 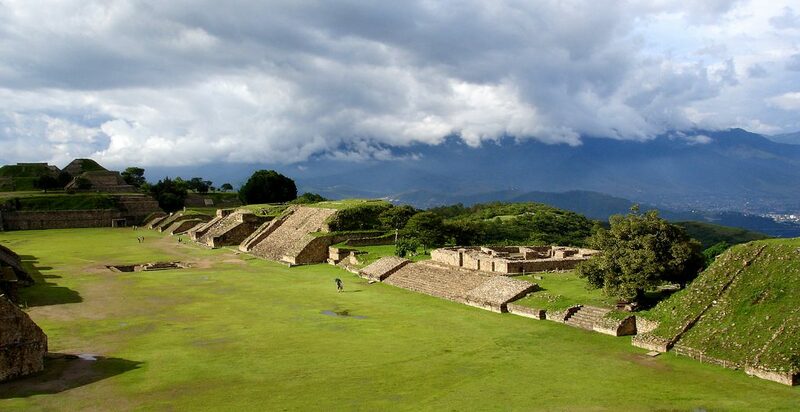 In the morning we will visit the famous archaeological site of Monte Alban, a ceremonial center built on a hill and rich in pyramids, tombs and sunken reliefs. 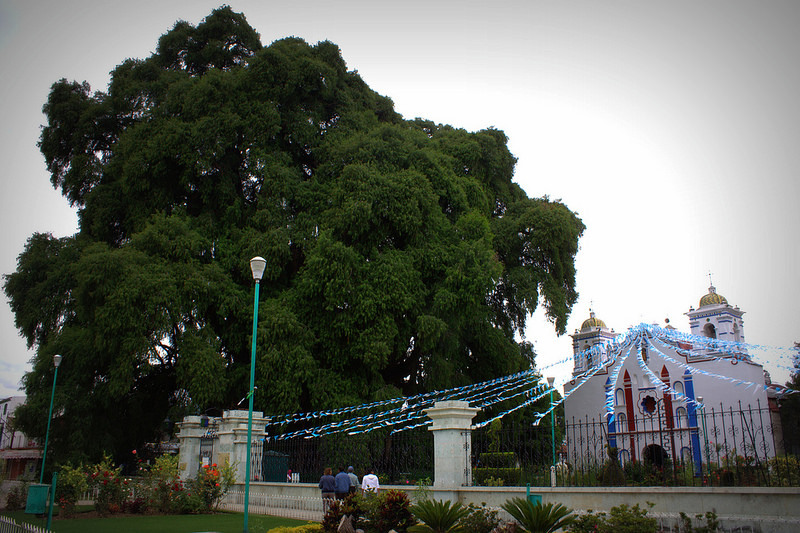 Afterwards, depart to Santa Maria del Tule to see the majestic Tule Old Tree, a 2000-year old giant with a trunk diameter of around 15 meters. Continue to Teotitlán del Valle, a small Zapotec village known for its textiles, especially hand-woven rugs from local wool and dyed with local, natural pigments. Overnight in Oaxaca. This morning we will head towards Tlacolula de Matamoros and visit the Sunday market, one of the oldest, largest and busiest in the Central Valley region of Oaxaca. 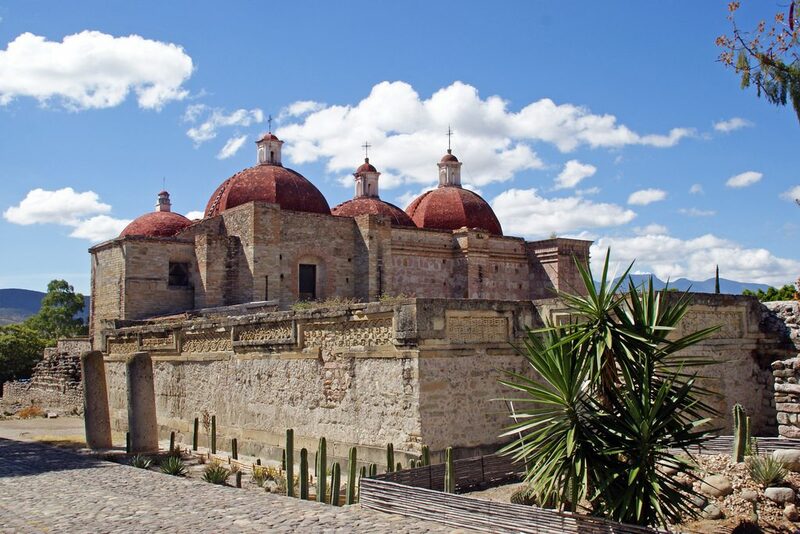 Next we will visit the Mitla archaeological site, a Zapotec ceremonial site, founded by the Miztec. 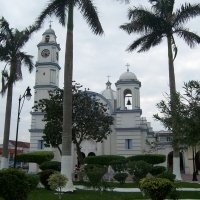 Later we will arrive in Juchitán de Zaragoza and (depending on availability) we may participate in an authentic rural “Vela”— a festivity with dances and music, and join the village people dressed in traditional costumes with bright colors and dancing to regional songs — a surely unforgettable experience! (In case no “Vela” is taking place this day, we will visit Hierve el Agua instead, which is set among natural rock formations and has a platform with springs and a number of small natural pools where we can enjoy a fantastic view over the Oaxacan valley. The water with its high mineral content is also said to have healing qualities). Overnight at the La Casona de Santa Cecila in Juchitán de Zaragoza. 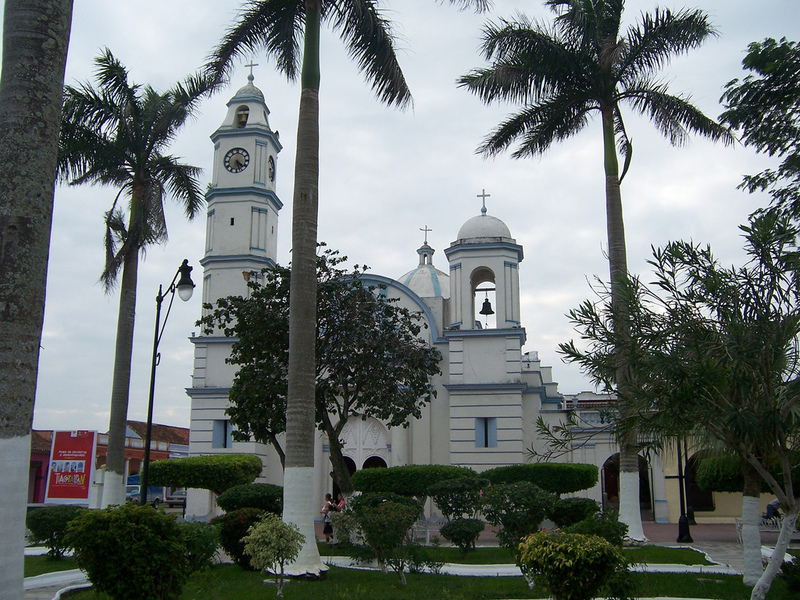 After breakfast we will departure to Chiapa de Corzo, site of the first Spanish city founded in Chiapas in 1528. This town has a very large plaza with the unique La Pila fountain, constructed in 1562 in Moorish style, made of brick in the form of a diamond. 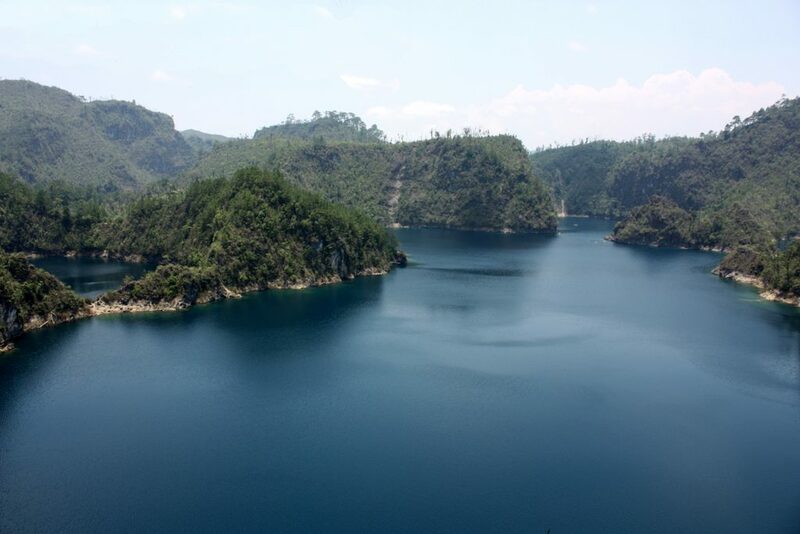 Transfer to the Cahuaré wharf to enjoy a boat trip through the Cañón del Sumidero (Sumidero Canyon); the altitude and beauty of the place will make the experience incredible. 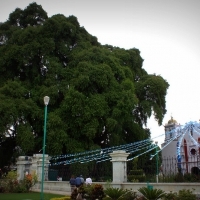 Continue to San Cristóbal de las Casas and visit the town square and the Na Bolom Museum. Overnight at the Casa Mexicana in San Cristóbal de las Casas. Departure towards Lagunas de Montebello National Park, where we can enjoy a tour on small rafts on the peaceful lake. Continue through the woods toward the Cascadas del Chiflon. This beautiful place offers 1.28 km nature trail where we can enjoy a stroll and climb a bridge to admire the 120-meter high waterfall of the Cascada Mayor created by the San Vicente River – the perfect viewpoint to take pictures. Overnight at the Casa Mexicana in San Cristóbal de las Casas. In the morning, departure to Palenque with stops at the Agua Azul and Misol-Ha waterfalls; the drive will last approximately 5 hours on a nice mountain road where we can enjoy the abundant vegetation of the area. Overnight at the Chan-Kah in Palenque. Visit of Palenque archaeological site. 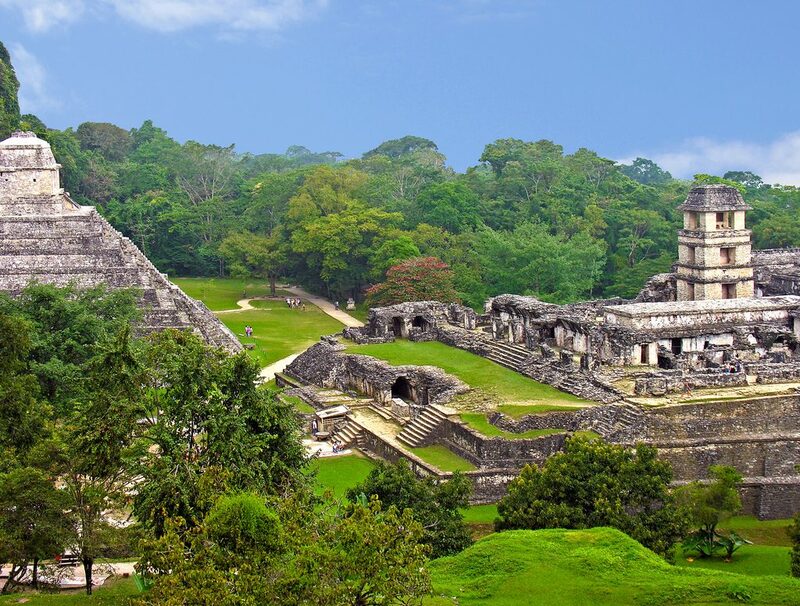 Palenque was one of the most important ceremonial centers of the Mayan culture. Its splendor took place during the Classic Period (years 250 to 700 approximately). Visit the famous Temple of the Inscriptions – where the tomb of Pakal was found; one of the governors of that city – the Palace, the Count Temple, and the Foliated Cross Temple, among others. 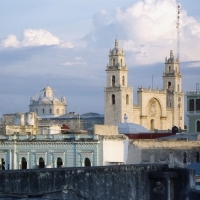 In the afternoon, drive to Campeche, the capital of the Campeche State. 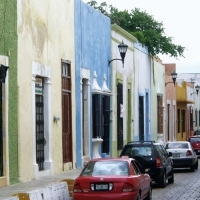 Campeche keeps a colonial mood thanks to its gorgeous houses and austere churches. We will enjoy a tour of the ancient town surrounded by fort walls and towers built to protect this city from pirates. Overnight at the Castelmar in Campeche. In the morning we will departure towards Becál, a small town focused on the Panama hat production. Almost all of the 10,000 inhabitants live on the hat making; behind almost every house, you can find limestone caves turned into workshops. The humidity inside the caves keeps the leaves of the Jipi Japa-palm soft and flexible; the heat on the surface on the other hand, causes the fiber to brittle. Continue to Uxmal and visit of the archaeological site. Uxmal means, “built in three stages” and it is a typical example of the classic and post-classic Mayan period; its main constructions are the Pirámide del Adivino (The Fortuneteller’s Pyramid), Palacio de los Gobernadores (Governor’s Palace) and the Cuadrángulo de las Monjas (Quadrangle of the Nuns). 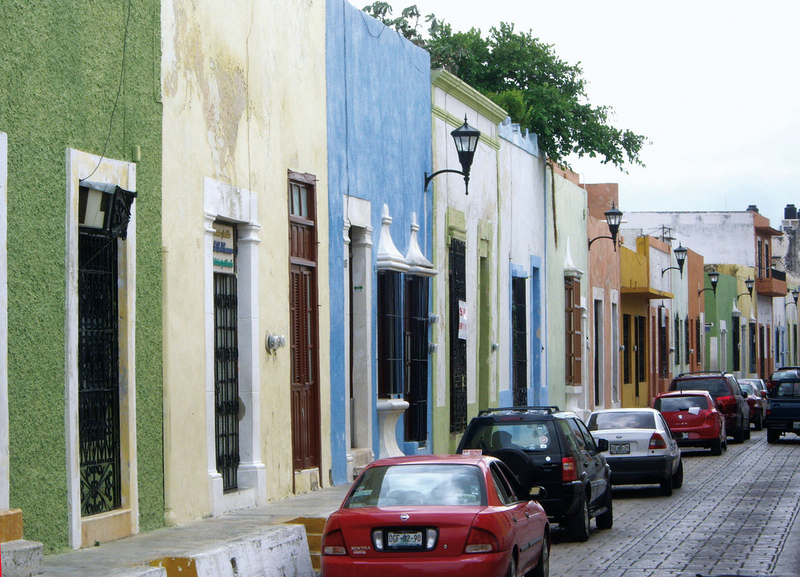 Drive to Mérida, AKA as the “White City”, which has colonial houses as well as houses that date from the beginning of the century in the Arabic, French and Italian styles. These houses have witnessed all the old wealth that was generated thanks to the sisal culture. 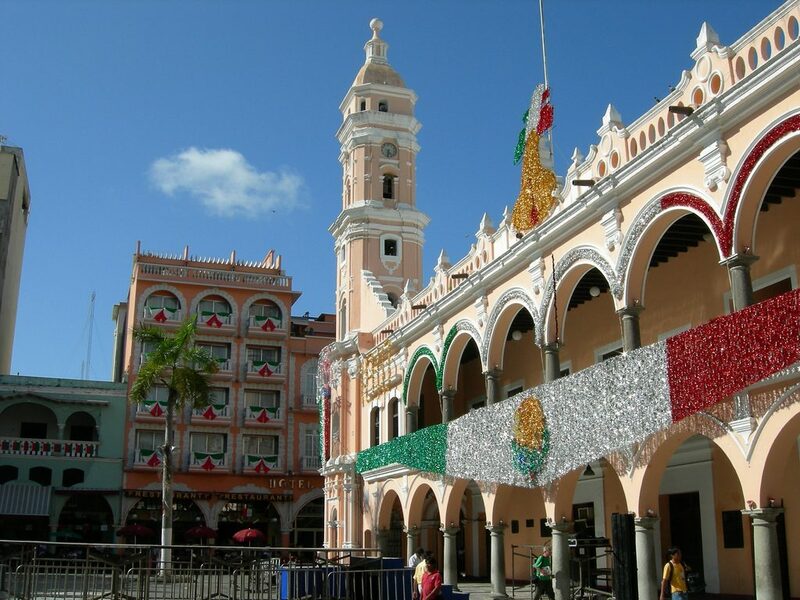 Stop at Mérida’s Zócalo, where you can admire the city’s main monuments: the Cathedral, the Government Palace, the Municipal Palace and the Francisco Montejo’s House. Overnight at the Hacienda Merida in Mérida. Depart to visit the Hacienda Sotuta del Peon where the henequen, the “old green gold of Yucatan”, has been and is still produced. Here, you will witness the step-by-step process of the transformation of the Henequen (or Green Gold as it was known throughout the region), from plant to fiber and from fiber to finished product. At the end of our tour, we will take a refreshing swim in the cool waters of the Cenote, a beautiful underground river of crystal clear water, or in a huge swimming pool, surrounded by lush gardens of tropical flowers and green trees and indigenous plants. 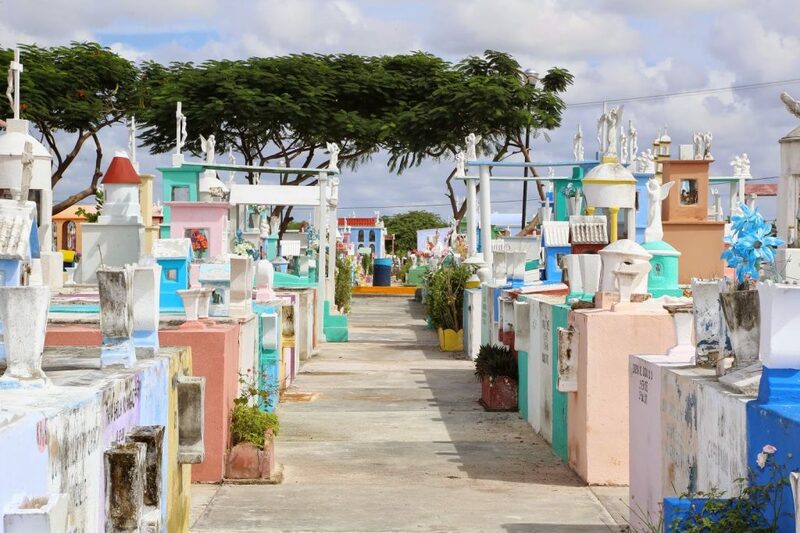 Later we will pay a visit to the colorful Cementerio Xoclán. At this cemetery, if you don’t have the money for a large plot, you can lease one for three years. 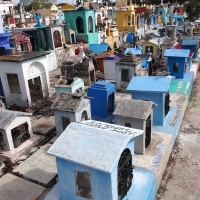 After three years, the bones of the person buried in the plot will be dug up, deposited into a special box called an osario, and the box will be put in a smaller space that costs less. 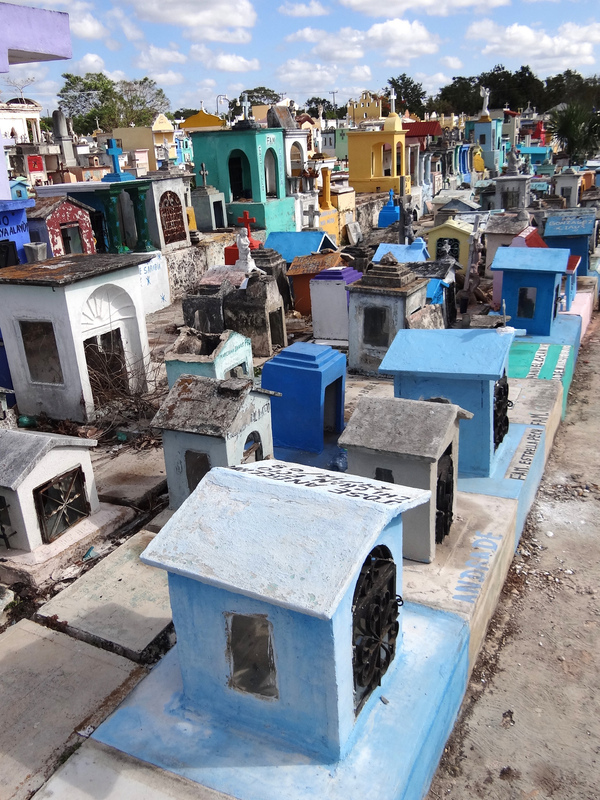 There is also a communal grave for those without families or the money to be buried somewhere specific. Overnight at the Hacienda Merida in Mérida. In the morning we will departure for Chichén Itzá. Upon arrival visit the archaeological site which was the Mayan capital of Yucatán and flourished between the 5th and 10th centuries AD. 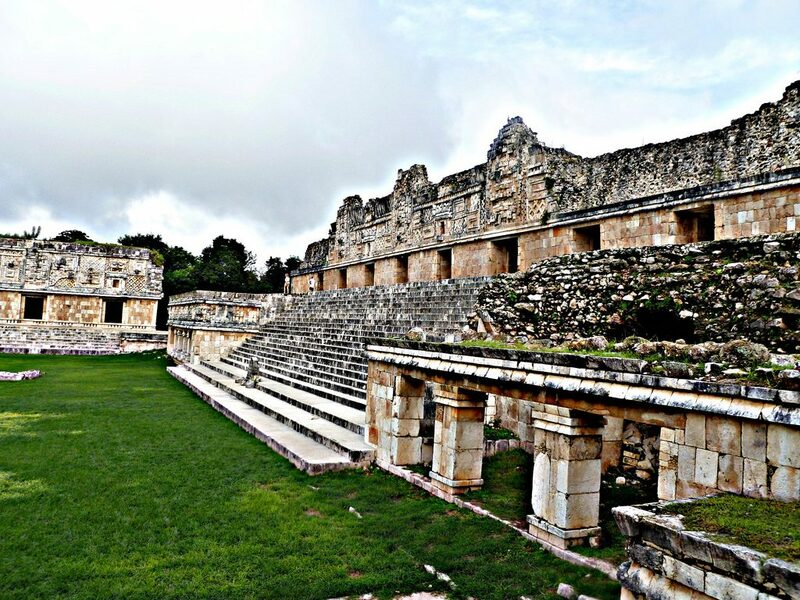 Visitors can admire the impressive buildings of the northern and Central archaeological sites, such as: the Kukulcán Temple, the Ball Game, the Observatory, the Warrior’s Temple, the Convent of the Nuns and the Sacred Cenote. Continue to Cancún. Overnight at the Presidente Intercontinental in Cancún. 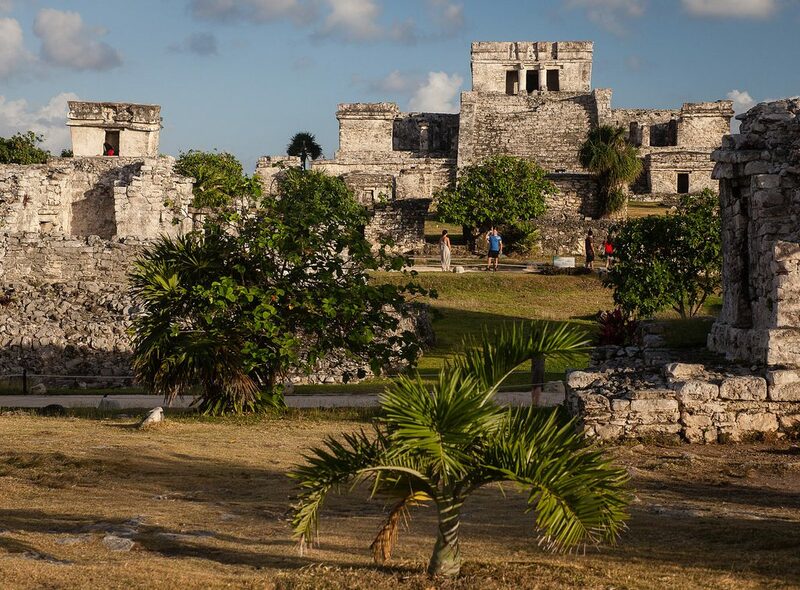 On our last full day we will departure towards Tulum and visit this famous walled city, founded around year 550 and still occupied by the Mayas at the Spaniards’ arrival. We will visit the Great Palace, the Temple of the Frescos – where there are still vestiges of paintings – the Castle, as well as several platforms and structures that are scattered all over the place. Return to Cancún and overnight at the Presidente Intercontinental in Cancún. Breakfast at the hotel. At a convenient time, transfers will be made to Cancún International Airport.